Is the economy driving car prices lower? The recent financial crisis and economic turmoil appears to have an effect on car prices. This is not surprising given that people generally become more conservative in poor economic climates and hold off on making big purchases. In the automotive marketplace, new car dealers are going to see fewer buyers which will pull actual selling prices down. But for used car transactions, whether it's at a retail used dealer or private party transactions, we could see either stable/slightly increasing prices OR falling prices. Which way the prices will head towards will be determined by the vehicle make/model. For example, the used market for luxury, SUV, and other gas guzzling vehicles are likely to deteriorate while the used market for hybrids, compact/economy, and gas efficient cars will thrive. With the economy headed for an apparent recession and gas prices still near record highs, people are dumping luxury cars, SUVS, and gas guzzler vehicles. The Ford Expedition or the BMW 530i that used to sell for $30k just a couple of years ago has no takers unless the prices drop below $10k. In a quick scan of the online classifieds, dealers and private individuals are still using KBB or Edmunds to list their luxury, SUV, and gas guzzler vehicles at above market prices. However, after the negotiations are over and when the car or SUV is sold, the real selling price is often much lower than the listing price and the published KBB or Edmunds price. However, a quick scan of the PriceHub database shows just one of three 2003 Ford Excursions as having sold for more than $10,000 in the last 3 months. For the hybrids, compact/economy, and fuel efficient cars, the real selling price will likely be closer to the listing price if derived from published KBB or Edmunds price. What does this all mean? This means that the changing economy is affecting real market pricing for cars & SUVs, and the best way to get a good sense of the real selling price is to look at actual transaction data instead of the so-called published KBB or Edmunds price. Most auto manufacturers produce a particular vehicle for 4-6 years before overhauling it and releasing a newer generation (new styling, new chassis, new engine, etc). Sometimes, car dealers will take advantage of the similar looks of a vehicle throughout a particular vehicle generation. 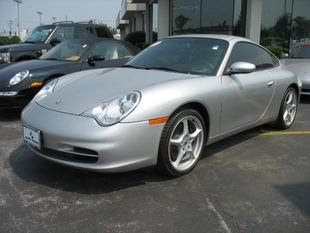 For example, a '99 Porsche 911 looks very similar to a '04 Porsche 911. 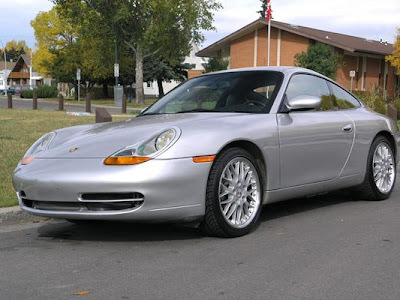 Both are from the same generation (by Porsche's internal identification, the "996"), but the more recent model usually command a higher price than the older model. You'll see ads for a '99 vehicle that read "Looks like a '04 model", and you can bet that some dealers will price that '99 vehicle at the '04 price range to take advantage of unsuspecting buyers. Knowing this information, smart buyers can also take advantage by buying a vehicle that's produced earlier in that generation for less money than a vehicle that was produced later that generation. This of course, assumes that factors like mileage, options, engine upgrades, etc. are similar and not too different. So, if you are looking at a '03 BMW 5-series, you may also want to consider a '00 model because both are from the same BMW 5-series generation (the "E39" generation) and both look the same, but the '00 model has a lower value than the '03 model, and the '00 model could represent a bargain for the savvy buyer. We're hearing that Land Rover of Ahaheim Hills, CA is offering current Land Rover owners a crazy promotion - Buy 1, Get 1 Free. That's right, buy or lease a 2008 Land Rover and get a 2006 Land Rover LR3 for "free". Technically, it's just a free 2-year lease on the LR3, but still I don't know of anyone that would balk at getting a fairly new Land Rover to drive around for free for a couple of years. The reason for this promotion is likely the continued weakness in the luxury vehicle market & the economy, along with people continuing to opt for fuel efficient vehicles instead of gas guzzling SUVs. Sales of large trucks and SUVs have plummeted and it's not surprising that this particular Land Rover dealer is trying to be creative in getting people to buy. The interesting scenario is that most large trucks & SUVs have experienced accelerated depreciation in the last 6-12 months due to high gas prices, and many of the current Land Rover owners are upside down if they financed their Land Rover purchases. So, it's hard for current Land Rover owners to take advantage of this offer without suffering a financial loss. The gentleman that forwarded us the promotion details stated "I still owe $34k on the 2003 Range Rover that I bought, and the trade-in value has now dropped to $20k. As much as I would like to upgrade to a 2008 Range Rover and get a free LR3 for my wife, it just doesn't make sense for me to cough up another $14k for the priviledge of getting another large SUV that is going to depreciate rapidly." As you can see by the pricing charts on PriceHub, the Land Rovers are historically notorious for high depreciation rates (even before factoring in the effects from recent high gas prices). For prospective buyers that are thinking about the "Buy 1 Get 1 Free" offer, it might be good to take a look at the Land Rover charts on PriceHub to help you in your decision making process.